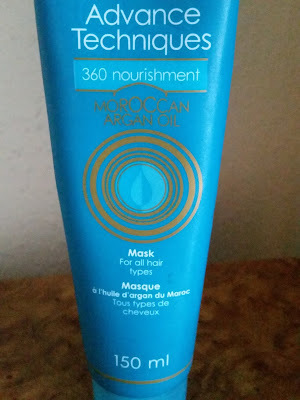 Advance Techniques 360 Nourishment Moroccan Argan Oil. Having used products that contained argan oil and how they made my hair so much more nourished and moisturised, i had to try this hair product range. Argan oil adds so many benefits to your hair by making your hair soft, shinier and healthy. It can be used to treat split ends and tame frizz as well as protect your hair from heat styling. I purchased the Advance Techniques 360 Nourishment Moroccan Argan Oil from AVON. 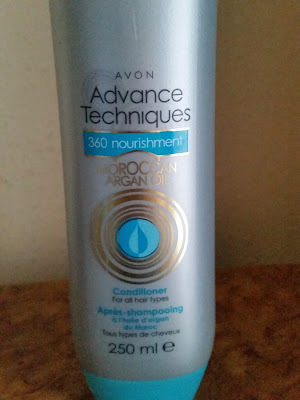 It arrived really quickly and i couldn't wait to try this product to see if it would benefit my hair or watch my money go down the plug hole like the product. The shampoo has such a unique scent its hard to describe but it smells good! It smells of a floral/fruity with a hint of coconut with a creamy light consistency. This gentle shampoo helps to transform dry hair and leaves it feeling moisturised. The conditioner smells clean with a fruity scent and is of medium consistency. It isn't too light or heavy but just perfect and glides through every strand with ease. hair, locking in moisture from root to tip. Contains Argan Oil, Provitamin B5 & Vitamin E.
The directions state to leave in for one minute before you rinse. Both bottles are 250ml and suited to all hair types. The mask has that unique scent again that you will just want to keep using this over and over. Its creamy medium consistency glides through hair and fully absorbs. This intensive moisture treatment leaves hair feeling so soft and shiny and really conditioned. The directions state to leave on up to five minutes but i like to leave treatments on around 20 to 25 minutes. Remember to use a warm towel for any treatment to penetrate the hair shaft. 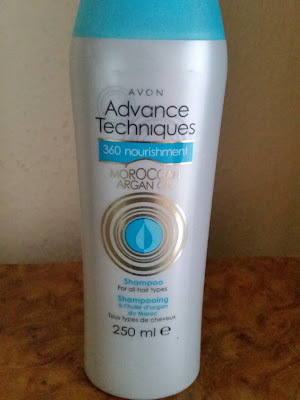 Advance Techniques 360 Nourishment Moroccan Argan Oil range. 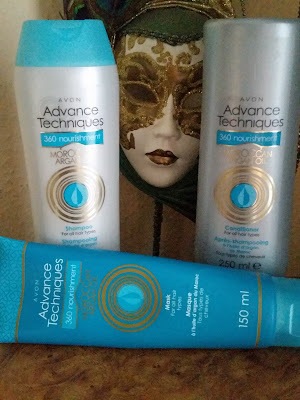 The consistency of the products from this range are really quite good! Your hair wont feel weighed down or over loaded from this product. Styling is made so much easier and your hair is left feeling and looking healthy! For the quality of these products you would think these would come with a high price tag,WRONG! Ill leave the link at the bottom of this page for you to find out. So if your looking for moisturised glossy hair, then make sure you pick up this range!